Kickstart the last 10 or the first 10 pounds!! The "Stripped" Plan! Starts June 22! 2. You follow the 3 week "Eat-Clean Diet Stripped: Peel Off Those Last 10 Pounds! " by Tosca Reno, created with summer in mind. 4. Complete a 30 minute workout of your choice: walking, running, or gym workouts all work! 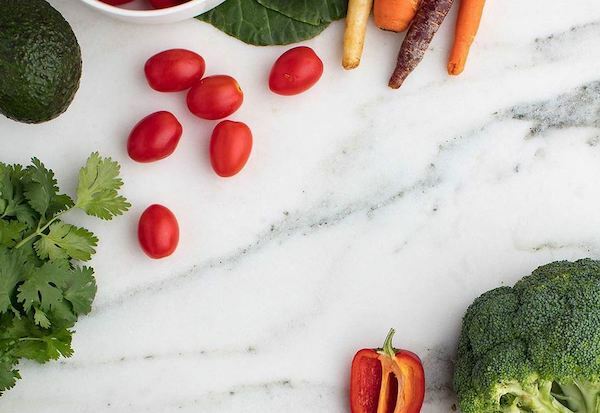 This group will be focused on really cleaning up their nutrition and cutting out the foods that are preventing you from getting to that goal weight you might have been pushing for. Please fill out the application below if you would like to secure your spot on the June 22nd Stripped Challenge Group. This is my new favorite dessert when I'm craving something sweet! 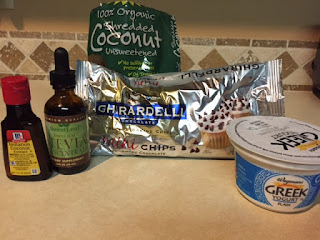 If you love coconut like I do, this clean eating, healthy dessert treat will satisfy you too!! And for under 150 calories! 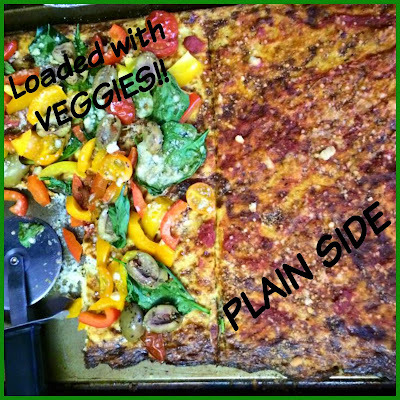 Mix all ingredients together, eat and enjoy!! Working full-time and making sure everyone has a nutritious breakfast in the morning can be a time cruncher! 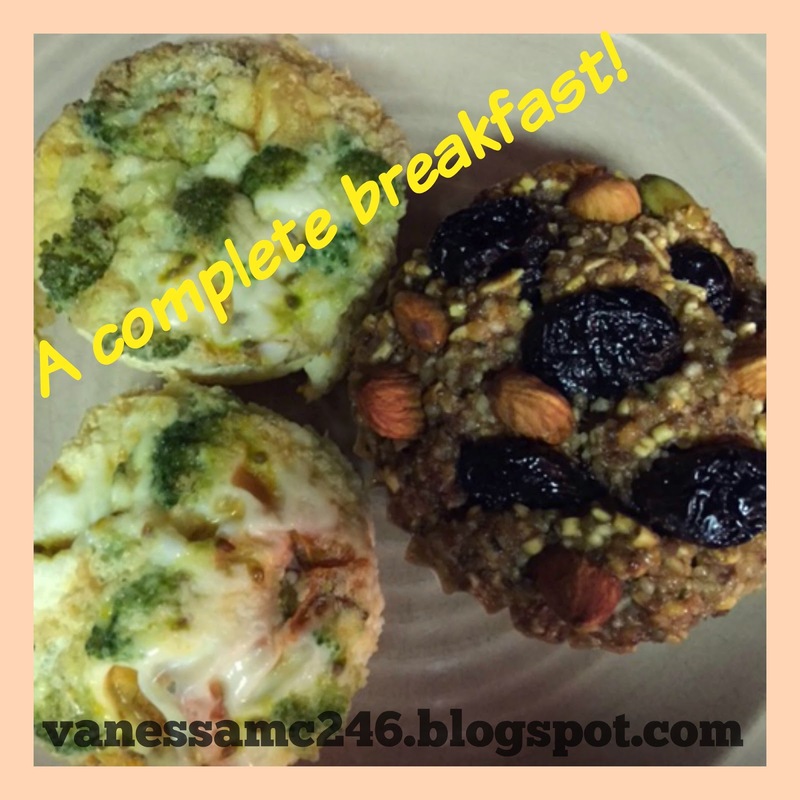 Luckily, with a little advance planning -- and cooking -- we don't have to spend the morning rushing around, shoving down breakfast, or racing out the door (though, if I oversleep, that's a different story, but this recipe works well for that too)!! Breakfast doesn't have to be a bowl of sugary cereal, or labor intensive. These egg "muffins" I made on Sunday. Every morning I pulled them out of the fridge, set them on a plate along with a baked oatmeal cup, heated in the microwave for about 1 minute, and breakfast was ready! Full of protein and veggies, I know I'm feeding my family a healthy breakfast. My job is to get everyone out the door before me each day, so this a a perfect way to make that quick and painless. Once everyone has left for work and school, I get ready, and I drink my Shakeology for breakfast. 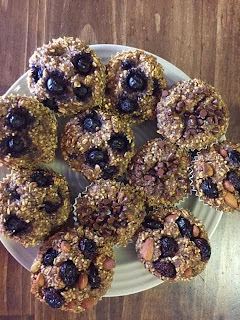 But these yummy, compact, easy to take with me "muffins" are my mid-morning snack at work paired with a baked oatmeal cup!! Make these ahead and store in the refrigerator to have all week. 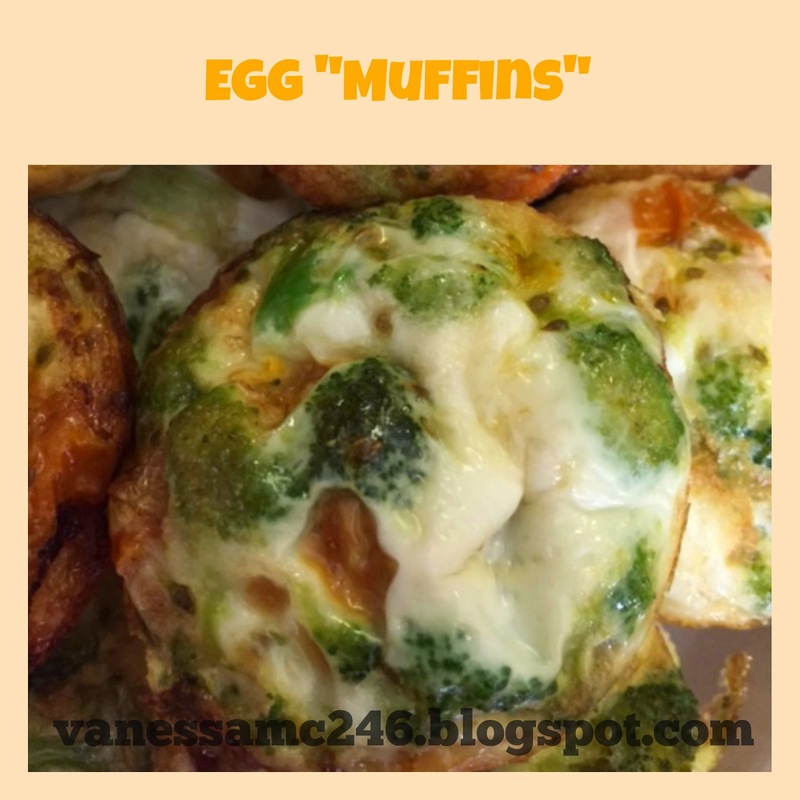 For my family, I doubled the recipe and we each had two egg muffins a day. Bonus: I got my family to eat vegetables in the morning! one egg in each cup). 3. Break up one slice of bacon or sausage link at a time and sprinkle half a slice of bacon (or half a link of sausage) into egg filled each muffin cup. 4. 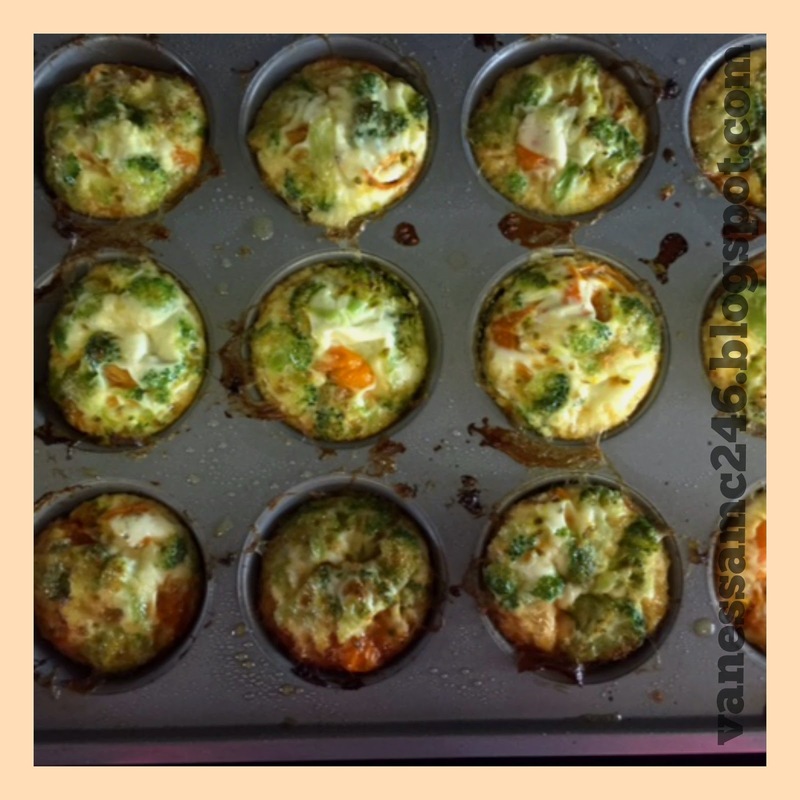 Fill muffin cups with vegetables (I used steamed broccoli, and cherry tomatoes cut in half). 5. Bake in the oven for 30 minutes. In August, I took a job for the first time in 15 years that has me sitting behind a desk and computer for eight or more hours Monday through Friday. I went from being a fitness instructor/personal trainer and English teacher, where I stood and walked around the classroom, to my desk job in marketing and communications. day. So, I started implementing bits of activity here and there throughout the day. Every hour or two, I take a quick 3-5 minute walk in my office building. I bought a fitness tracker to track my daily steps. 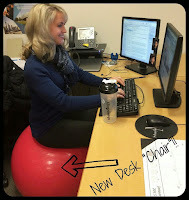 I, also, brought in a fitness ball from home to my work, which I alternate with my desk chair. But after a 15 year lifestyle of constant movements and daily double workouts, my body needed more. So, I came up with another strategy to get me to move more! Watch this video to check out how I now incorporate more movement in my day. This strategy works for anyone behind a desk all day, and even if you're not, it's a great way to move more, and get the blood flowing!! Let me know if you incorporate this strategy into your day! I would love to hear from you!! I'm always listening. How do you feel about putting on a bathing suit this summer? 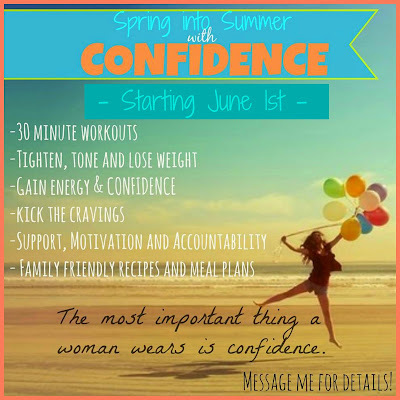 Will you feel confident? Will you take off your shirt or your cover-up? Will you stand up from your lounge chair? If you keep doing the same thing with your nutrition and fitness that you’ve been doing, where will you be in a month, or a year from now? One June 1st I will kick off a Confidence Project! Give me 21 days and you will be a new person! I am running a health and fitness accountability group, where I will help you fit health and fitness into a busy lifestyle. I will provide meal plans, planning tips, teach clean eating principles, portion control, craving control, strategies to combat mindless snacking and emotional eating, tips how to continue to eat healthy when eating out and when traveling. At the end of the 21 days, everyone who has submitted before and after photos, and has lost weight or inches, will be entered in a drawing to win $100!! I am committed to helping you get the very best results possible! Are you ready to feel confident at the pool or the beach again? Aren't you ready to change your lifestyle? Join my group and start your healthy lifestyle ASAP!! Fill out my form below! 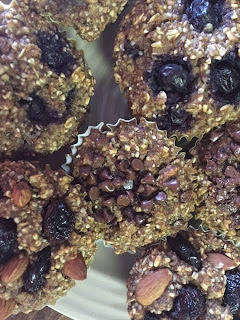 So, easy, portable, with any delicious fill-ins you like, these little oatmeal cups are perfect on busy mornings! My husband loves them in the summer, because it's too hot to make regular oatmeal, so he puts two in a bowl and pours a little milk over them. I take them to work and eat them as a mid-morning snack. My boys obviously liked chocolate chips in theirs! To make enough for my family all week, I doubled this recipe and stored them in the fridge. I found this recipe on Pinterest, and modified it a bit. The recipe below is the original recipe, with notes about my modifications. 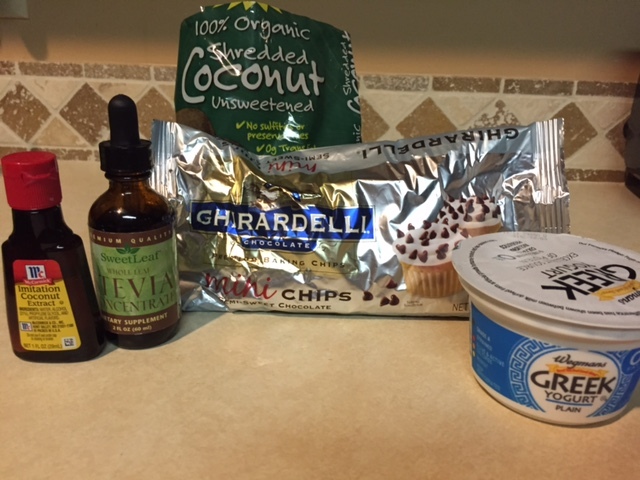 My modifications make the recipe gluten and dairy free. If you make them, let me know what toppings you used, and when you eat them! 2 1/2 cups of rolled oats (I used a mix of gluten free steel cut oats, gluten free rolled oats, brown rice cereal, and buckwheat cereal). 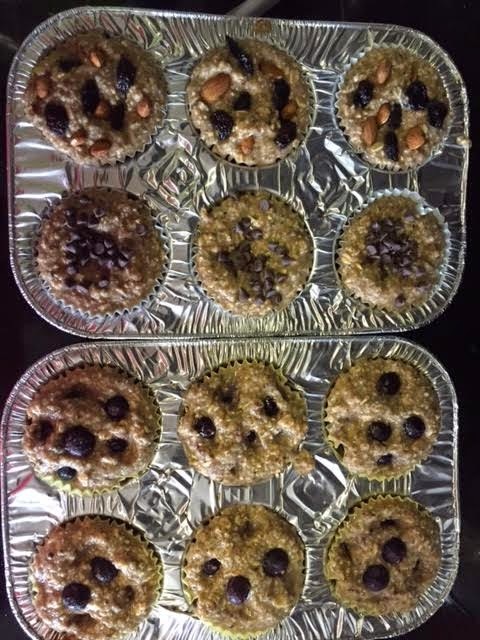 Toppings - I used blueberry, chocolate chips, and then cherry almond (I used frozen blueberries, mini chocolate chips, and unsweetened dried cherries along with raw almonds). You can used any you like: raisins, cranberries, nuts. There are so many options. 2. Mix eggs, vanilla applesauce, banana, and honey (which I don't use) in a bowl. 3. Add in oats, chia seeds, flax seeds, cinnamon, baking powder, salt and mix well. 4. Pour in the milk and stir. 5. 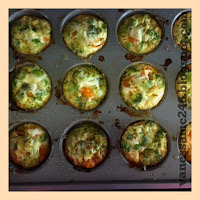 Line a 12 cup muffin tin with cupcake liners. 6. Divide the mixture evenly into muffin tin cups. 7. Add any toppings you like. 8. Place filled muffin tins in the oven and bake for 30 minutes. - For my kids, I put each tomato on a slice of toasted Ezekiel bread first drizzled with olive oil. - Serve on top a baked flour or corn tortilla or toasted sandwich wrap. 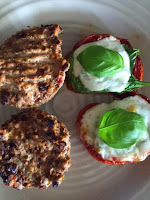 - Stack them 4 high on one another, or stack layering with baked eggplant or zucchini slices. If you make these, let me know how your served them and what you think of the recipe. 2. Slice tomatoes into thick slices, about 5 slices per tomato. 3. Spray large baking sheet with cooking spray. 4. 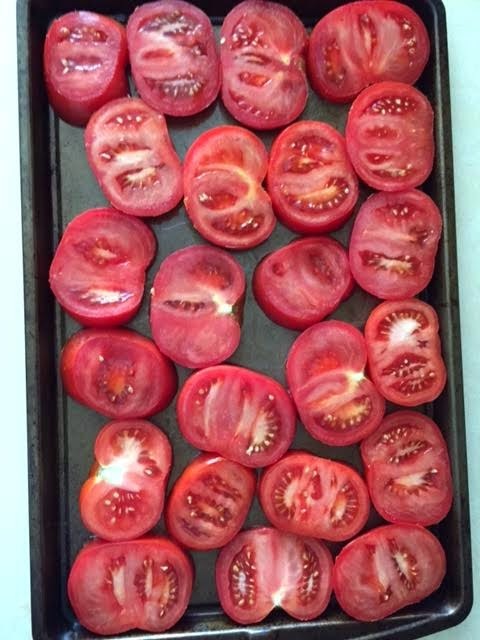 Place tomato slices in one layer on the baking sheet. 5. Spray generously (or drizzle) balsamic vinegar on tomatoes. 6. Spread crushed garlic over tomatoes. 7. Roast in the oven for 20 minutes, or until tomatoes are brown at the edges. 8. Take tomatoes out of the oven. 9. 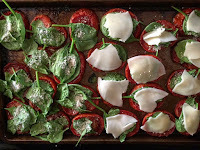 Stack 4-5 baby spinach leaves on each slice of tomato. 10. Place tomatoes back into the oven for about 4-5 minutes, until spinach is wilted. 11. 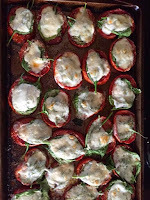 Remove tomatoes from the oven. 12. Sprinkle with parmesan cheese, salt and pepper. 13. Break mozzarella slices into quarters. 14. 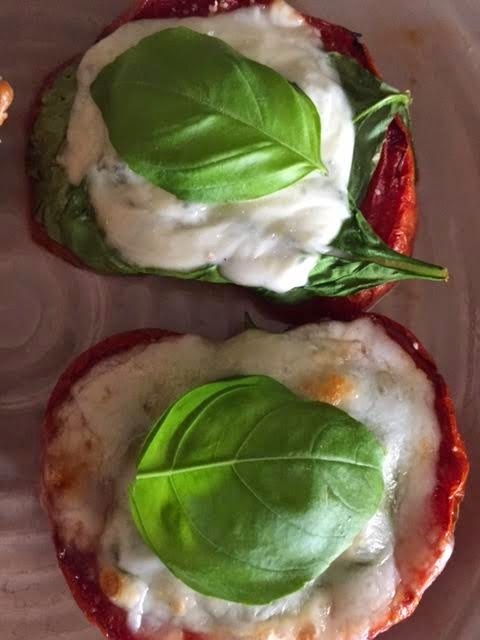 Place one quarter of cheese slice atop each spinach topped tomato slice. 15. 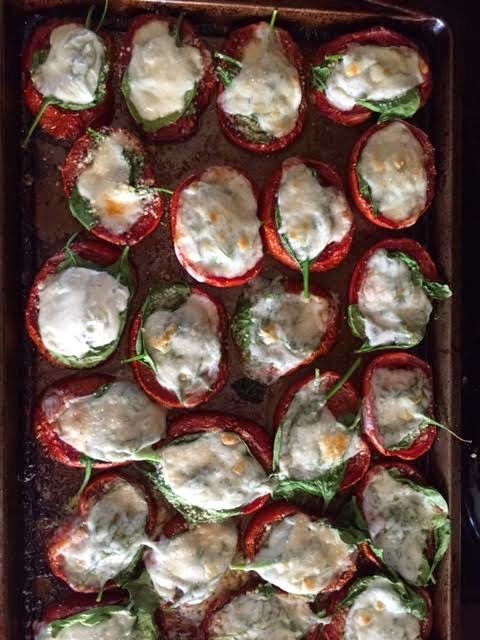 Return tomatoes back to the oven, just until cheese is melted. 16. Top each slice with a fresh basil leaf. 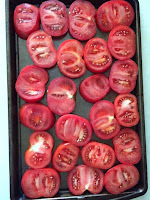 Tomatoes placed on baking sheet sprayed with coconut oil cooking spray. Topped with spinach, parmesan cheese, and starting to top with mozzarella quartered slices. Taken out of the oven, just before topping with fresh basil leaves. 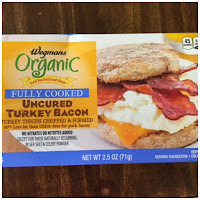 Served as a regular side, but would look so good atop the turkey muffins! How to fit exercise into your schedule! It's easy, I promise! Do you start the first week of an exercise routine, sticking to it for the first week and then slowly dropping off? Maybe you feel you don't have enough time to workout? How can you possibly fit it into your day? I’ve been there. I know how challenging it is to fit it in to my schedule. But I do. You've seen my workout selfies! I workout EVERY DAY, and I'm going to tell you my "secret." In my office job I 40+ hours per week, I'm a mom of kids with homework and many after school activities, a wife, and like many people have a million other items on my "to do" list. I have struggled to integrate exercise in my day. I’ve always been super motivated in the beginning, with the intention of, "This time will be different!" But as soon as I faced all my obligations and stressful schedule, I ended up skipping workouts, eating the whatever food I could reach, and feeling like the biggest loser. Life is hectic and stressful. We have the best intentions to incorporate a healthy routine, but sometimes we easily get caught up in the daily grind. Exercise, health, and time for us gets pushed aside! But here’s the thing: peak performance at work and having energy to devote to your loved ones can only come if we're taking care of ourselves first. And let’s not forget that working out makes you feel and look amazing. 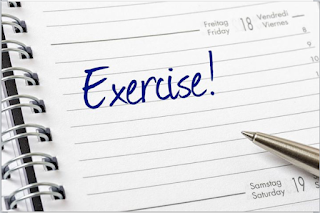 Here’s how to fit exercise into your schedule, and make sure it stays there! Sunday is going to be your most important day of the week! Every Sunday, I take some time for myself, sit down with my calendar, and look at my upcoming week. 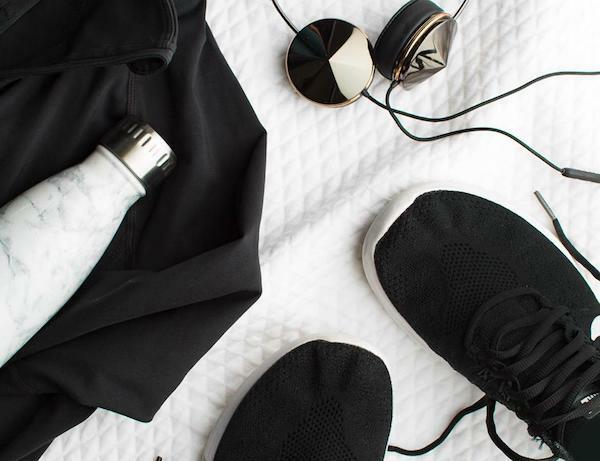 I go through my schedule, and add my workouts to the calendar: usually after work, sometimes after my kids are in bed, and sometimes even in the early morning. If possible, I try to fit it in during my lunch hour. 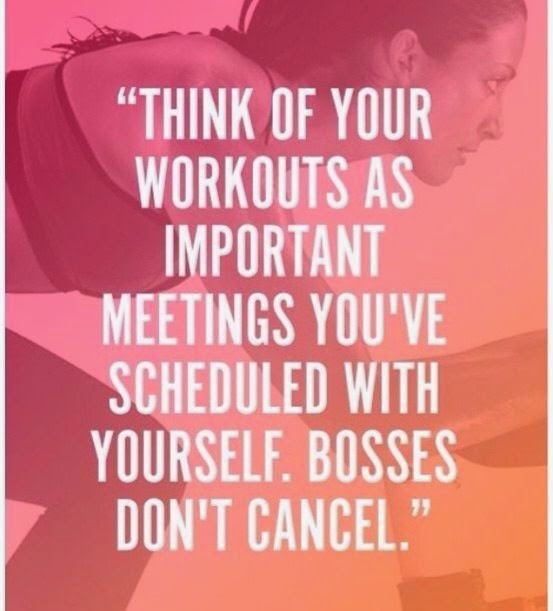 Those appointments with myself are very important! I'm as precise as possible, scheduling to the exact hour, and the exact workout. 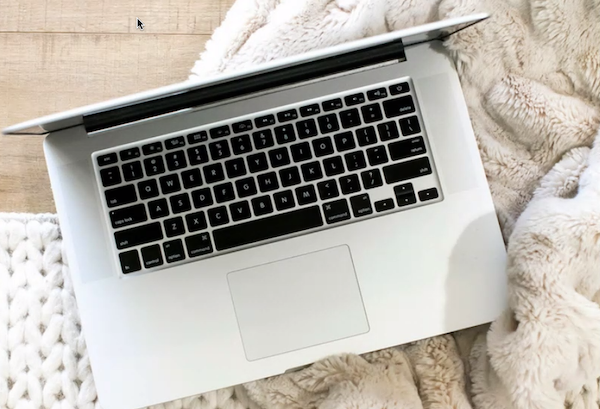 During my Sunday scheduling session, I consider my energy levels on that day, as well as my obligations. With Beachbody, I know exactly what workout I'm going to be doing each day and how long that workout will last: 30 minutes!! However, if I'm not doing a Beachbody program, I always scheduled one hour to workout and designated lifting weights days on Mondays, Wednesday, and Fridays, and cardio days on Tuesdays and Thursdays. On the weekends, I always try to schedule a family "workout": a walk, bike ride, or game of tennis. It's very helpful if you know exactly what exercises you're going to perform and to give them a specific time frame. Believe it or not, we humans are lazy and we actually don't like to make decisions. So if you already decide on Sunday what you're going to do the rest of your week, you're more likely to stick to it. This way you don't need to decide when and where you are going to do your workouts, or what you're going to do for them. You just need to execute and stick to your own schedule. And that makes it so much easier! Have you tried this? Let me know how it works for you. Happy Cinco de Mayo! 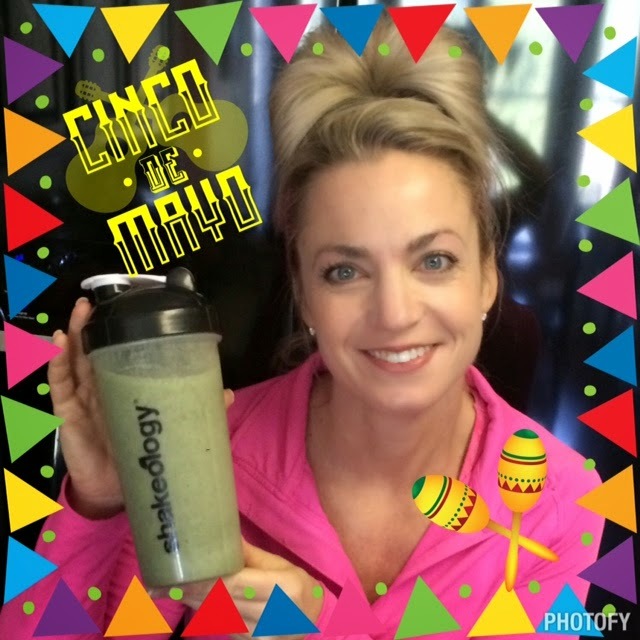 While it's a day known for parties and tequila, I thought I would celebrate a healthier fiesta with a Margarita flavored, Cinco de Mayo inspired Shakeology! I hope you enjoy it and would love to know if you make it, what you think of the flavor!! Blend all ingredients in a blender, until ice is crushed and shake is frothy. Enjoy!! 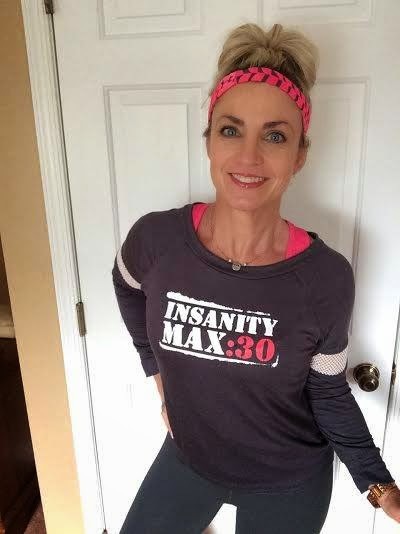 So last week I posted about my new adventure, starting Insanity Max30! My Beachbody Coach said it was her “Soul Mate” workout, and that she was running a challenge group this month specifically for the Max 30 program. This intrigued me enough to sign up for the group and be a challenger again. This means 100% dedication and commitment to not just the workouts, but the meal plans too! I mean not cheating for 8 weeks sounds really daunting, right? There are a lot of events that are going to happen in the next 8 weeks. We have family visiting from Boston, friends visiting from Maryland, Memorial Day weekend and a trip to New York City! When I think about these challenges, I get overwhelmed. How will I entertain guests, travel, and get through a holiday still exercising and eating clean? I take it one day at a time! I am going back to being a challenger instead of always being the coach! When I signed up for the group, I became part of the private Facebook group run by my coach. I completed the challenge group she ran for the 21 Day Fix this past September, so I knew I had a place to receive support, motivation, and guidance from my own coach, who had successfully motivated me through the 21 Day Fix. I spent Sunday doing food prep, and making sure I scheduled all my workouts on my calendar. 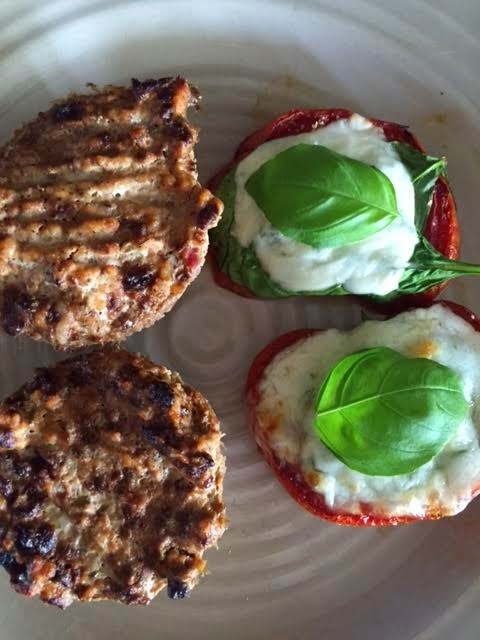 Since, Max 30 follows the 21 Day Fix meal plan, it was easy to plan. 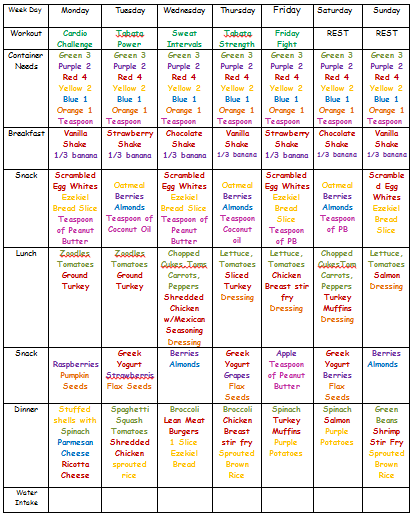 Here is my meal plan for the week. The first week of workouts were challenging. I started with Cardio Challenge. I had sweat coming from every part of my body, and my calves were on fire, but I pushed through. Each day I pushed myself 100% until I maxed out. Maxing out is defined as the moment where you cannot continue at the high intensity level. So if I modify, I take a two-second break, I struggle with a rep, all those are considered maxing out. Maxing out is NOT bad. I actually want to max out because that means I am pushing yourself to the MAX! I realized that the first few days I was doing it wrong. I was pacing myself, I was modifying when I got tired and of course my max out time was longer than if I just jumped in 100% from the first minute, which is what the program told me to do! Once I started to change my mindset I started to talk to myself in my head, telling myself I could do it. Don't give up; you want the results; you are worth it; this will be worth it! I'm recording my Max Out Time for each workout. If I record it every day, after the first two weeks I should start seeing some improvement with my time. After two weeks, my Max Out Time should increase slightly, and after three weeks I should really see some improved time! It takes three weeks to gain visible changes when workout out and eating clean. Days 2 and 4 (Tuesday and Thursday), Tabata Power was on schedule. Tabata means doing an exercise at the highest intensity for 20 seconds, then taking 10 seconds off. The workout was fast paced, and my muscles begged for mercy. I just kept going! It’s only 30 minutes. I can do anything for 30 minutes! I was tired, I’m on a mission to get results: to get stronger, and leaner. Here is a sample of the Tabata Power Tricep Reach move. Friday's workout, Friday Fight, was the HARDEST! I won’t lie. I was swearing at the T.V., and at Shaun T! But when I was done, I felt accomplished, stronger. Not necessarily physically strong, but mentally strong because I had pushed through 30 minutes! So I made it through week 1, we had company in over the weekend which meant entertaining! I did have a mojito on Saturday night, but back on track the next day! Week 1 is over, and last night I prepped my meals for the week and scheduled my workouts on my calendar. BRING ON WEEK TWO!! If you would like to know more about Insanity Max 30, and are interested in possibly joining my accountability group, fill out the application below. 2. Place cauliflower pieces in food processor and pulse until shredded. You may have to do this in several batches, a few pieces of cauliflower at a time. 3. Place riced/grated cauliflower in a microwave safe bowl, and cook in microwave for 8 minutes. 4. Take out of microwave and let it cool. 5. Take one cup of the riced cauliflower and place it into a mixing bowl. 6. Add 1 ½ cups of shredded mozzarella, the egg, and the herbs, in with the cauliflower and stir together. 7. Spray a cookie sheet with non-stick spray, use a sil-pat, or parchment paper. 8. Pour mixture on to the cookie sheet. 9. Press and shape into a thin pizza crust. 10. Bake at 450 degrees for 15 minutes. 11. Take the crust out of the oven. 12. Place any toppings you want on the crust (I used spinach, cherry tomatoes, olives, and red, yellow, and orange peppers on one side. On the other side, I just spread a thin layer of tomato sauce and sprinkled a bit of parmesan cheese). 13. Top with remaining mozzarella. 14. Put back in the oven and broil 3-4 minutes until cheese is melted. ** In my pictures I doubled the recipe. 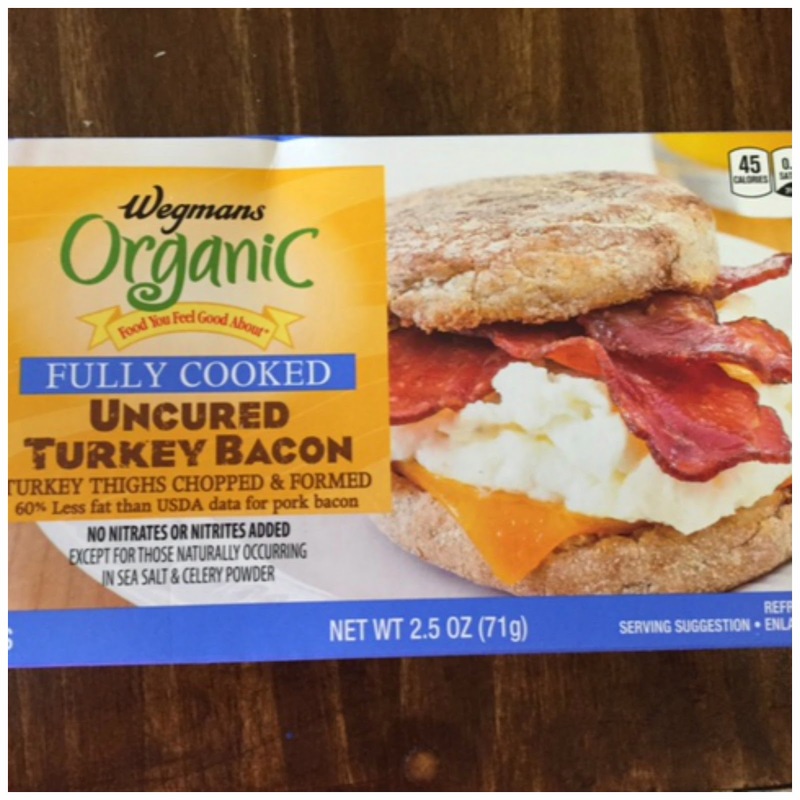 I also served it with my turkey muffins recipe, so there would be some protein in the dish! Let me know if you make it and how you like it!! I am one. We are many. - Sharing my passion and my dreams. Last Saturday, I joined in with over 500 other Beachbody coaches to give back, and witnessed how each person coming together to make many can make a difference. I went to learn to grow my business, but I experienced so much more: inspiration, perseverance, survival. Beachbody hosts Super Saturday trainings quarterly, throughout the country. Because I am on the team of the number one coach in the country, Melanie Mitro, and she lives in western Pennsylvania, I attended the training in Pittsburgh, at Heinz Field. 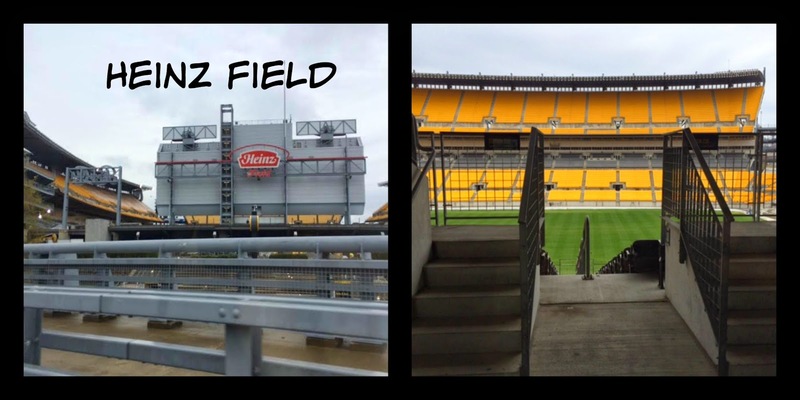 I had never been to Pittsburgh, before, so it was a treat to drive into this beautiful city and see the iconic field. 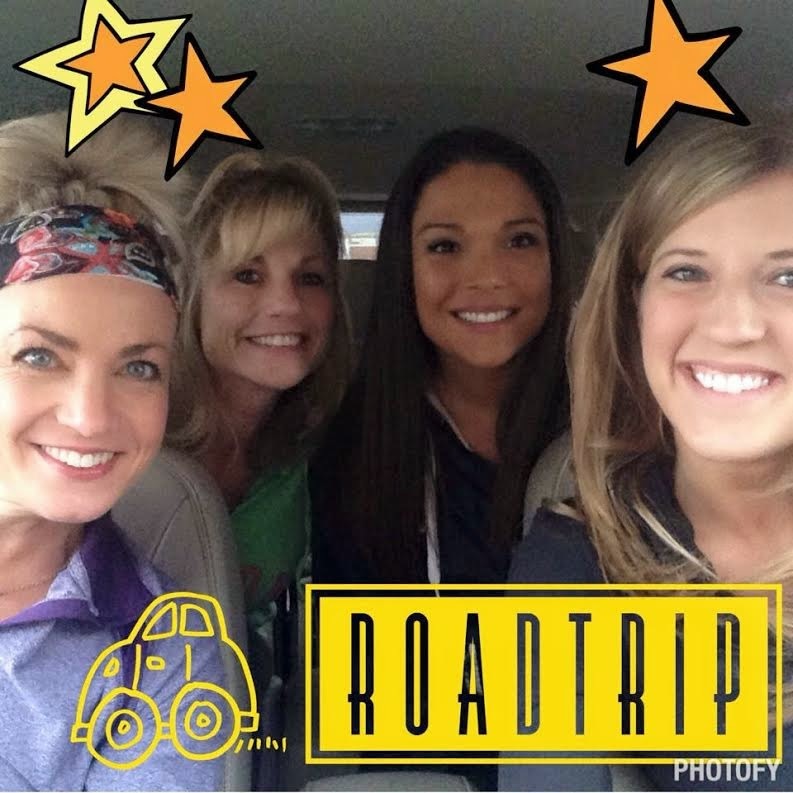 After spending the weekend with other Beachbody coaches and surrounded by happy, healthy people, I came home with even more passion to help teach others how to live the best version of their own lives. 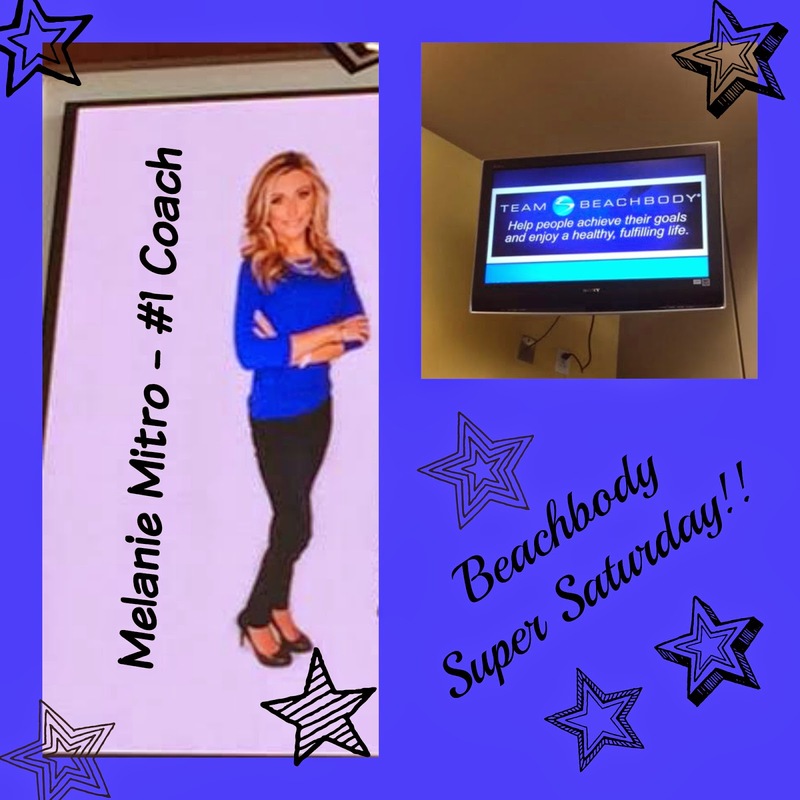 On Beachbody Super Saturday, I woke up at 5:30 am, to drive down with three other coaches from my local team, Team Fit and Fabulous. We were all excited for the day, to meet other coaches, to be inspired and motivated, to learn more! After arriving, checking in, and meeting other coaches in person that we’d only communicated with online (but who felt like old friends), and taking a few photos, over 500 of us sat to listen to some success stories. Personal success stories from people who lost weight because of Beachbody programs, and then became coaches to pay it forward. I could relate. I love helping others get healthy! Their personal and business success stories made me feel my passion, and validated my decision to become a coach. When they finished, we watched a video presentation about some new Beachbody programs and products (stay tuned for those in future blog posts, but they are AWESEOME)!! running a Beachbody business. To hear that they were just where I am now a few years back, with my same fears, and are now pushing over six figure incomes made my heart flutter. Hearing their stories made this dream of mine seem more achievable. 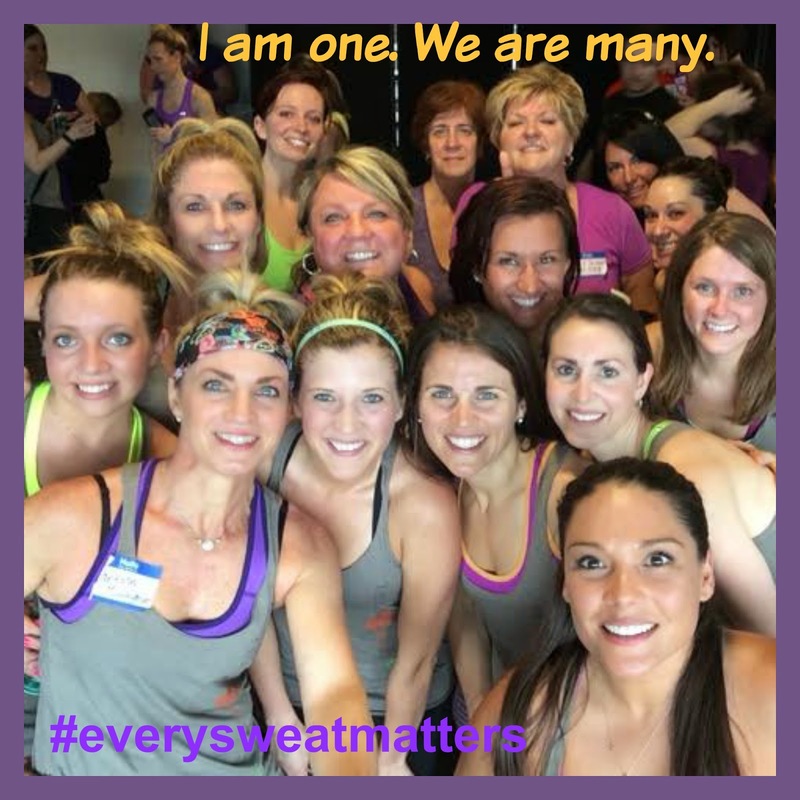 The theme for this quarter’s event was #everysweatmatters. What does that mean? Well, one of the Beachbody coaches on our team, Katy Ursta, was diagnosed with state 4 Hodgkin’s Lymphona over a year ago. Instead of letting it consume her, she fought back. 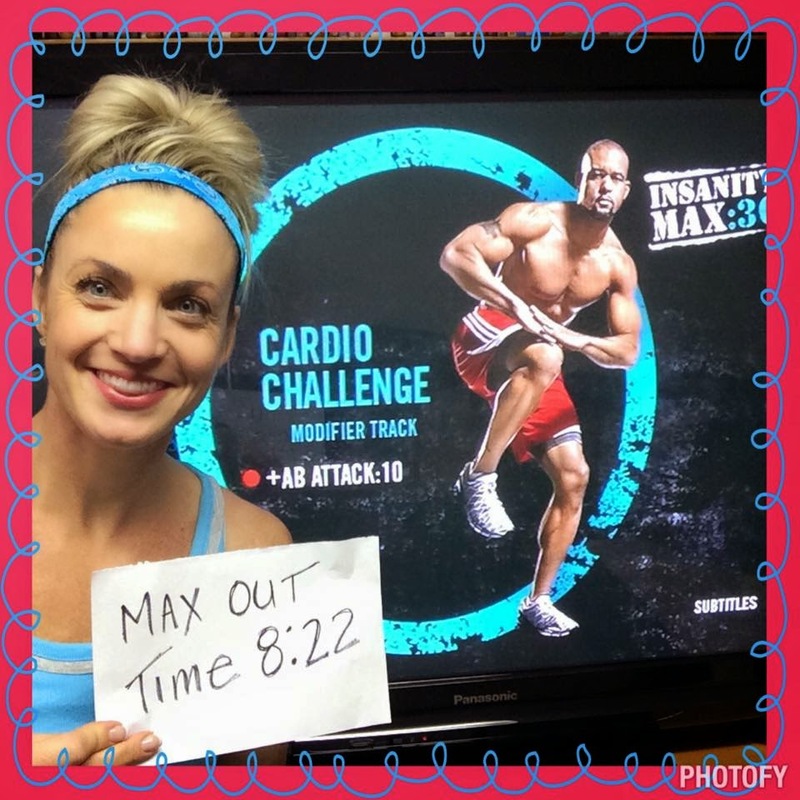 She blended her job as a Beachbody coach with fighting for literally her life. She made every one of her workouts count. She didn't stop working out, stop eating healthy, stop coaching others, instead she decided that she was going to #punchcancerintheface and she was going to sweat for something bigger! When life got hard, she would sweat! On days when she was feeling weak she used social media and asked people to sweat for her that day! Beachbody coaches came together, tag her in our posts and dedicate our workouts to her! It lifted her up, it gave her strength and she knew she was not alone! Now in remission, she has made it her passion to spread awareness of this illness, and still make every sweat matter. I tell this dream to my family and friends; I tell them I will be a top coach someday, I just need a few years to work hard and get there. I want to make an impact. I want to help others achieve confidence in their health and fitness, in how they see themselves! 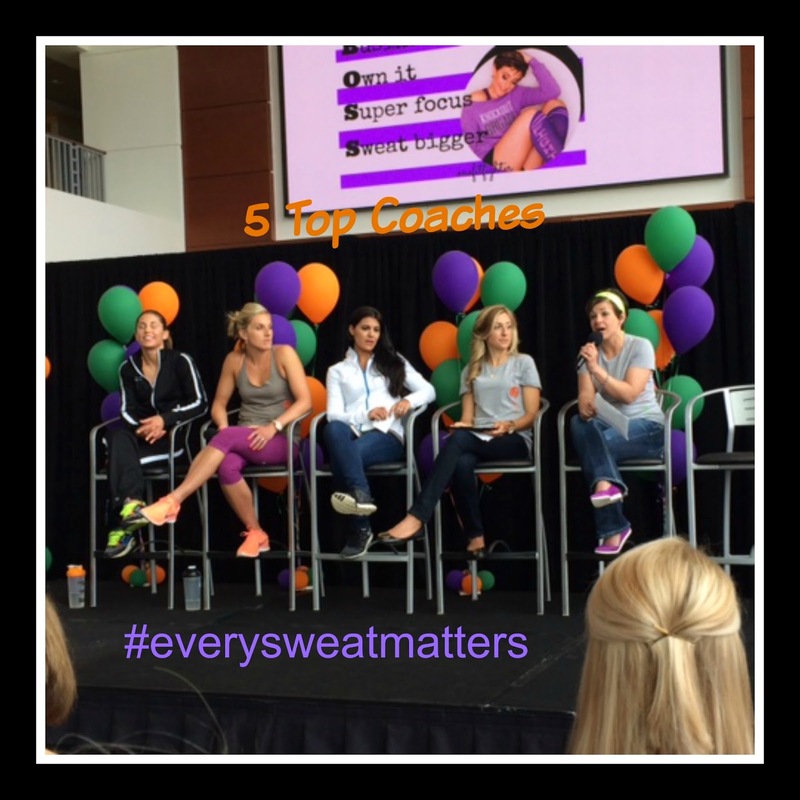 After hearing the top coaches speak, we came together again, wore our #eversweatmatters shirts, and sweated together. The energy that comes from working out with 500 people at a time is powerful. We had little room to move and it was pretty warm in there, but we all kept going, because we know every sweat matters! Through the sale of #everysweatmatters shirts, raffles, and the costs of our tickets, we raised A LOT of money for leukemia and lymphoma research, once again, showing the power of many through one person at a time. I’m not allowed to say how much money we raised, until the Leukemia and Lymphoma Society releases the amount publicly, but when the amount was announced, I got teary. To see the impact of all these people coming together, sweating together for a greater cause, for something bigger than just me, and the minutia of daily life, had emotion welling up in me. We are powerful together. When I left there my heart felt felt full. I saw the difference one person makes. I wanted to get home and start working even harder! Every single customer, coach, every person who I work with matters to me, and I have the opportunity to make their life better. It’s a pretty powerful feeling. Talk about a rewarding profession. 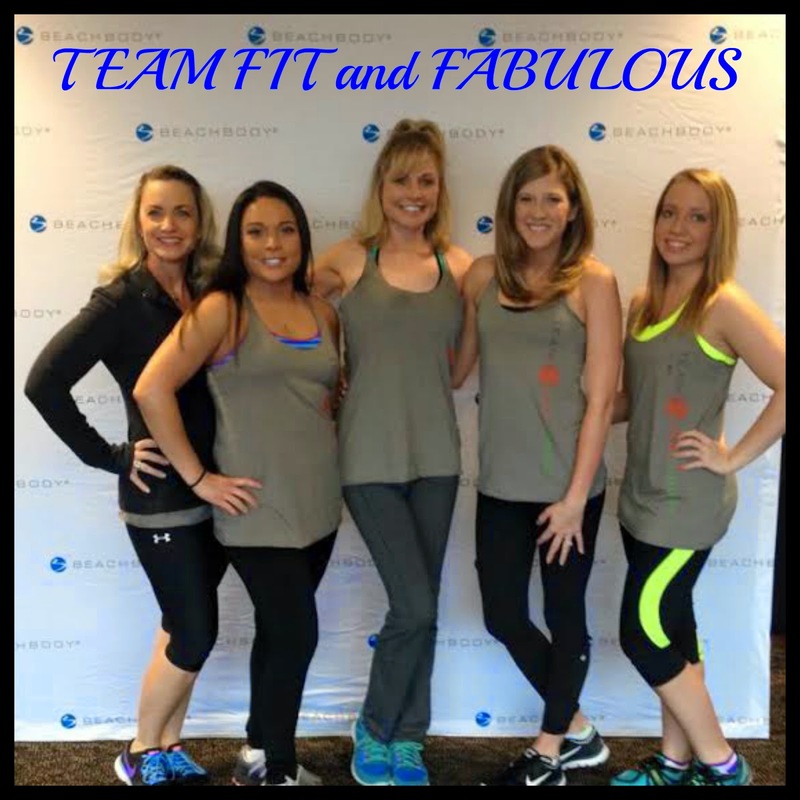 The first is helping others succeed in the program that Beachbody has to offer by running challenge groups and teaching them how to live a healthier lifestyle. The second part is about training my coaches that I recruit to be on my team how to be successful and duplicate the success that I am having. The third it that I am constantly getting trainings and trying to grow personally. While I have not exceeded my full-time job income, yet, I am getting closer each month. Having the extra income is wonderful, even more so, is having helping others gain financial freedom by being a coach. I hear so many people tell me that they wish they could stay home, or that they are sick of their jobs, or even that they just could use more money to help pay for groceries. It feels good to have an option for them. In coaching, the rewards come with the effort I put in. This isn’t a get rich quick opportunity, but if you work hard there will come. Coaches don’t have to have any prior experience or have to be in super good shape, they just have to have a passion to make a difference in someone’s life. The rest we can teach you! A few months ago everything clicked for me. I realized why I LOVED coaching. It combines all of my passion: I can teach people how to live healthier, fitter more confident lives; I am using my marketing and communications knowledge to run my own business; and I am surrounded by people with the same passion of living happy, healthy lives. It’s the perfect fit. My passion and your career have blended. It never feels like work. If you think that being a coach seems like something that you might be interested in please fill out the coach application below and I will be in touch to talk about the opportunity over the phone. My team is growing and I am always looking for motivated people to help me make an impact.